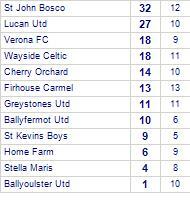 Cherry Orchard despatch Crumlin Utd. 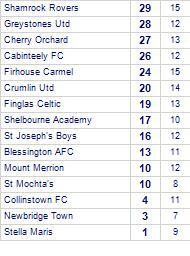 Malahide Utd share honours with Cherry Orchard. 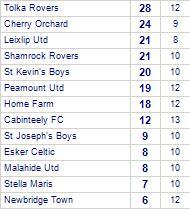 Cherry Orchard have yet to be beaten away from home. 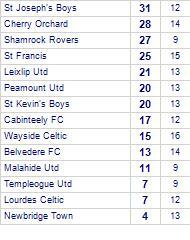 Templeogue Utd despatch Cherry Orchard. 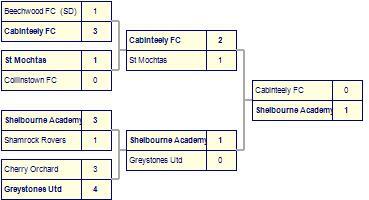 Malahide Utd claim victory against Cherry Orchard. 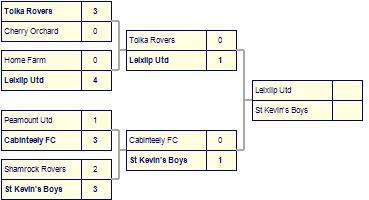 Cherry Orchard lose to Lucan Utd. Cherry Orchard win against Hartstown Huntstown. 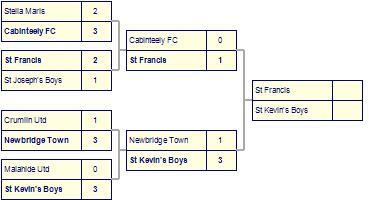 Cherry Orchard win against Malahide Utd. Peamount Utd despatched by Cherry Orchard.